As Senior Vice President and Director of National Programs at the Trust for Public Land, Adrian Benepe is a national expert on the nexus of the public, private, and non-profit sectors in public space development and management. 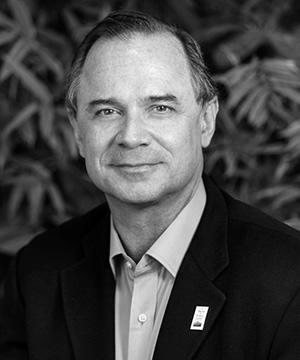 In his career, he has served in leadership roles on park and public space conservation, design, construction, and operation, and in city planning, arts and culture, historic preservation, and landscape and urban design. Prior to his current role, Mr. Benepe worked for 27 years in the NYC Department of Parks and Recreation, serving as Park Commissioner for 11 years under Mayor Michael Bloomberg. He oversaw major expansion of the parks system including restoration of historic parks and addition of new ones including Hudson River Park, Brooklyn Bridge Park, and the High Lline. Previously, Mr. Benepe served at NYC Parks as Director of Art and & Antiquities, Director of Natural Resources and & Horticulture, Operations Coordinator, Director of Public Information, and Urban Park Ranger. In addition, he served as Vice President for Issues and & Public Affairs at the Municipal Art Society and Director of the Annual Fund & Major Gifts for the New York Botanical Garden. Mr. Benepe also helped to create and empower civic organizations including Business Improvement Districts, Madison Square Conservancy, Jamaica Bay Conservancy, Historic House Trust of NYC, and Fort Tryon Park Trust. Mr. Benepe holds a bachelor’s degree in English Literature from Middlebury College and a Master’s degree in Journalism from Columbia University, where he received a Pulitzer Fellowship.